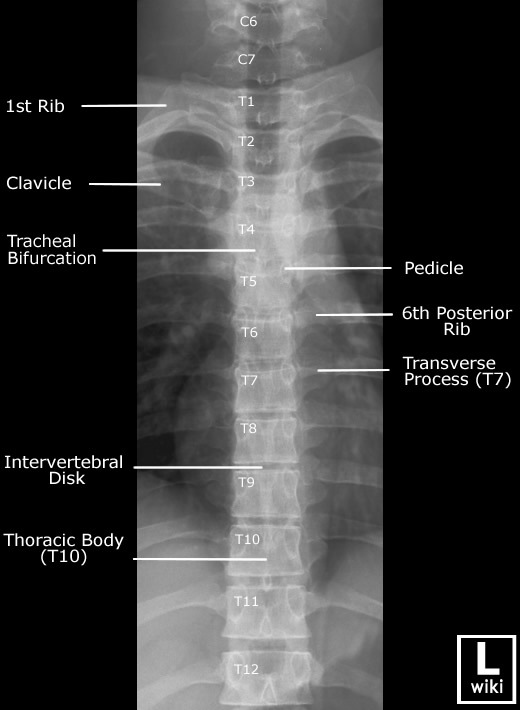 Frontal radiograph of the thoracic spine with labels. 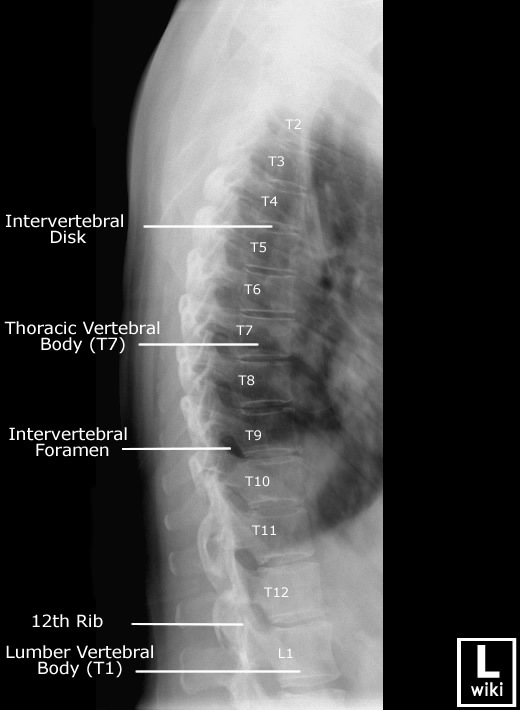 Lateral radiograph of the thoracic spine with labels. Radiographic anatomy of the thoracic spine. Image source from WikiRadiography (WetPaint) here.